St Ives Community Orchard - Apple Day. Sunday 15th October 2017 from 2.00 to 6.00 pm. 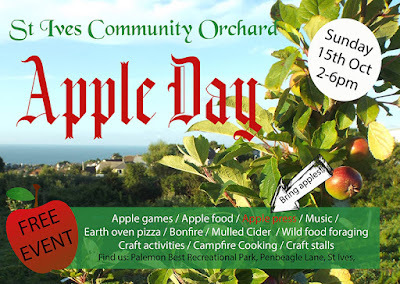 An annual celebration of apples, autumn, orchards and community. The orchard is off Penbeagle Lane at the top end of The Stennack.